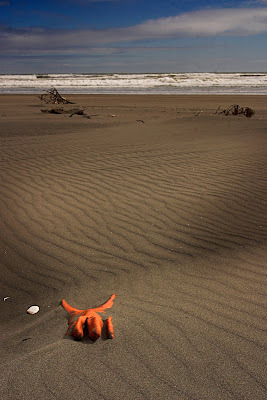 port waikato: Orange you going to give me a hand? Orange glove found on Sunset Beach (one of several that were washed ashore). Shot with Canon 10D.